Recently, the HPF team was selected to build the NEID spectrograph, the next generation spectrograph for the 3.5m WIYN telescope at Kitt Peak National Observatory, located on the Tohono O’odham reservation in Arizona. The word neid means ‘to see’ in the language of the Tohono O’odham, where we as a community, are privileged to be doing astronomical observations. NEID is funded by the joint NASA/NSF partnership NN-EXPLORE program, administered by the Jet Propulsion Laboratory (JPL) in Pasadena, with the goal to support and advance exoplanet research through an ultra-precise radial velocity observational program. 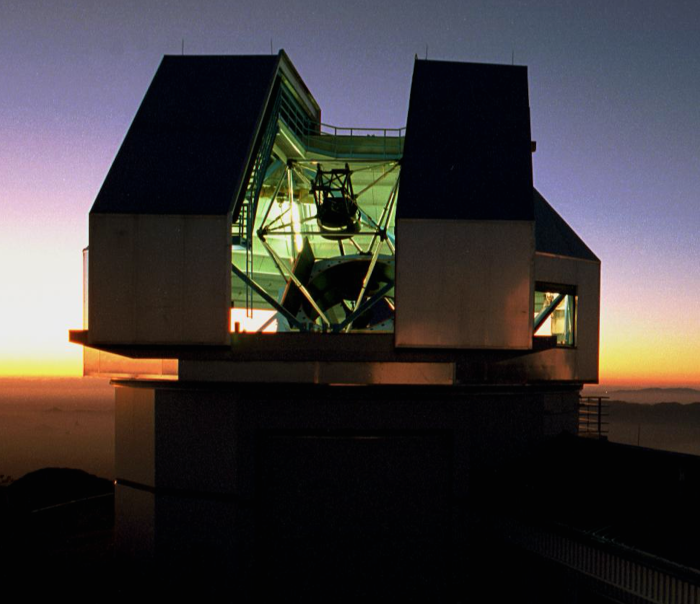 NEID is designed from existing heritage to address some of the most pressing and exciting exoplanet questions over the next decade—many of which can only be answered with extreme precision radial velocities. In particular, NEID leverages direct technology heritage from HPF, adopting many subsystems that have been discussed in detail here on the HPF blog. Like HPF, NEID will have its own dedicated blog, which will be kept updated with news on the build, assembly, tests, and new results. Go check it out here: http://neid.psu.edu/ ! The 3.5m WIYN telescope at Kitt Peak. One of the most frequently discussed topics on this blog has been the need to enclose the HPF instrument in a stable, cold environment. Because HPF will observe stars in infrared light, it is essential to remove as much of the thermal infrared radiation from the system as possible, and keep the rest absolutely constant. We achieve this by placing the entire instrument in a vacuum chamber (known as a “cryostat”) and cooling it to 180K (-93.15° Celsius). Previous posts on the HPF blog have covered the theory of our thermal control system and the design of our vacuum cryostat. Since posting those articles, we have been hard at work bringing this system off the spec sheet and into the lab. The cryostat is now pumped down, and the environment control system (ECS) is running. Let’s look at the results! Very briefly, our cryostat is designed to maintain a constant temperature by cooling the instrument to about 170K using copper thermal straps connecting the optical bench to a tank of liquid nitrogen, then warming back up to 180K with electrical heaters controlled by a custom computer system. Below is a schematic of the basic ECS operation. A schematic of how the HPF Environment Control System (ECS) maintains a constant 180K instrument temperature. Every step of this process requires specialized hardware and careful attention to detail. We showed you the construction of the thermal straps and electrical heaters in a previous entry, but let’s look at some other aspects of the system that are now in place. 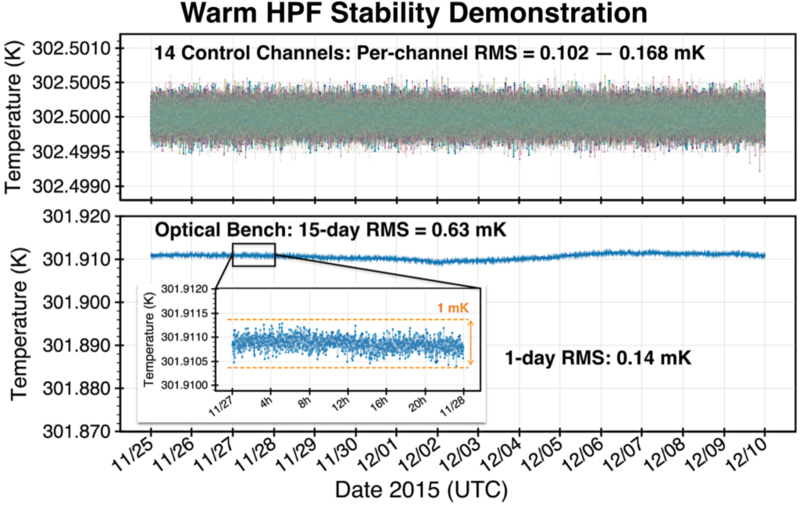 While we are unable to verify officially, we are reasonably confident that HPF has more internal electronics and wiring than any previous astronomical spectrograph with no moving parts. The temperature sensors and heaters seen in the schematic above are simple enough devices on their own, but managing the wiring for the approximately 65 such units in a vacuum chamber can be quite the tangle. We made dozens of custom wiring harnesses with specialized vacuum feed-throughs to connect our cryostat to the outside world. Eric Levi and Paul Robertson make the final electrical connections before closing the radiation shield lid. Vacuum feed-throughs for the HPF cryostat. Note the number of wires! Additionally, achieving vacuum pressures of 10-7 Torr is not as simple as hooking up your household dust buster. We need two separate pumps: one “roughing” pump to remove the first 99.99999% (!) of the air, and then a high-speed “turbo” pump to get us the last three orders of magnitude. 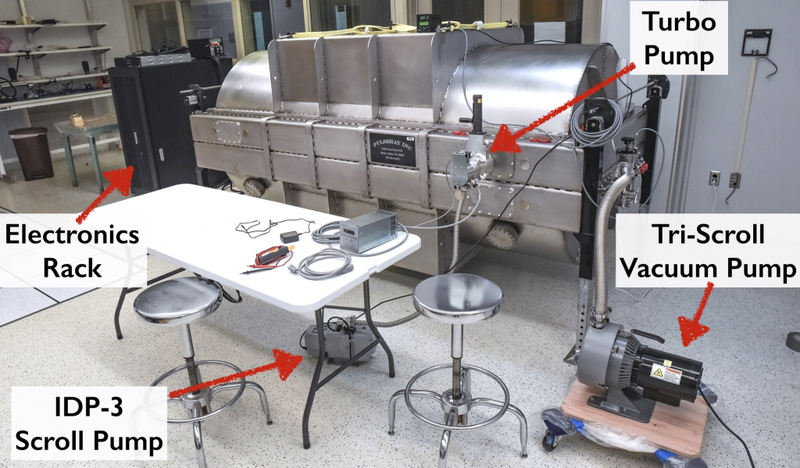 When you add in the accompanying safety valves and vacuum gauges, the cryostat and its vacuum components start to take up quite a bit of space and power. The HPF vacuum pumps and electronics rack. So, does it all work? A system this complex—with so many components that have to work in concert to achieve the desired results—gets road-tested in incremental stages. Our first full-scale environment control test was a “warm test”, designed to test the vacuum and electronic systems. In this mode, we disconnected the copper thermal straps from the optical bench and attempted to maintain temperature stability near room temperature. Rather than use the liquid nitrogen tank as a heat sink, we used the heaters to raise the internal temperature about 10 degrees above room temperature, and used the entire ambient environment as the heat sink. The liquid nitrogen tank is still filled, but only to cool the activated charcoal getters that maintain our exquisite vacuum. A secondary motivation for the warm test is our ongoing instrument concept design for NASA’s upcoming Extreme Precision Doppler Spectrograph, or EPDS. Our HPF team is one of two finalist groups competing to build the instrument. Because the EPDS spectrograph will use optical wavelengths (as opposed to HPF’s near-infrared coverage), it can be operated near room temperature, as the thermal background does not affect the visible spectrum. However, EPDS still requires excellent temperature stability, hence our adaptation of the HPF concept to warmer temperatures. We just completed a two-week warm stability test, and we are beyond excited with the results. Over the entire two-week run, the cryostat was stable to less than a milliKelvin! Better yet, over a typical 24-hour period, our RMS stability is closer to a tenth of a milliKelvin. For HPF, this exceeds our needed stability by about a factor of ten, giving much-needed assurance that the cryostat will provide a suitable environment for precision Doppler spectroscopy. Without further ado, here are the data! Results from a 2-week warm temperature stability test. All 14 active control heaters remained stable to within 0.2 milliKelvin, while the optical bench maintained sub-milliKelvin stability, and exceeded 0.15 mK stability over 24 hours. Even with this encouraging result in hand, we know we can do better. The longer-term fluctuations seen in the plot above are caused by ambient pressure changes, which we will mitigate by installing a pressure regulator on the liquid nitrogen tank. And remember, this system is designed to operate at 180 Kelvin! Next up: the cold test. The thermal straps are reattached, and the liquid nitrogen is flowing. Stay tuned! As we’ve mentioned in prior blog posts, high precision Doppler radial velocity (RV) measurements require extraordinarily stable instruments to measure the spectral shifts in the stellar absorption features induced by orbiting planets. How small are these shifts? A 10 cm/s velocity signal, roughly equal to the RV ‘wobble’ amplitude of the Sun due to the Earth, corresponds to a one nanometer physical shift of the spectral features in the HPF focal plane. This minute shift is roughly equivalent to the lattice spacing of the HgCdTe absorbers on the face of the HPF detector. 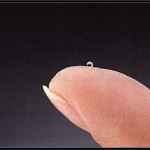 In real world terms, that’s ten thousand times smaller than the width of one strand of your hair! We’ve discussed methods of stabilizing the physical environment within the HPF cryostat (see previous posts), but it is equally important to stabilize the illumination inside the spectrograph. Think of it this way: any change in how the light is distributed as it enters the spectrograph will be misinterpreted as true changes in the star, whereas it is actually caused by the journey the light takes through Earth’s capricious atmosphere, the telescope mirrors, and other systematics along the way. Any spatial variation of the light profile illuminating the instrument optics within the cryostat will actually masquerade as spectral shifts on the detector, degrading measurement ability. 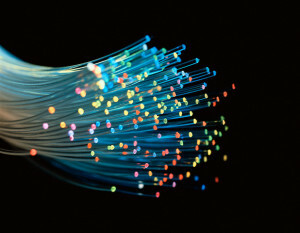 Optical fibers have long been used in the telecommunication industry as an efficient method of transmitting large amounts of data over long distances. As such, the quality and availability of these high performance waveguides has increased significantly in the past several decades. This is particularly true in the near-infrared, where fiber transmission is highest due to minimal scattering and absorption. A benefit of using an optical fiber to deliver light from the telescope to the spectrograph is improved ‘scrambling’. Standard circular core optical fibers used in astronomical instruments have the convenient ability to ‘scramble’ light, producing an output illumination that is significantly decoupled from the input illumination on the fiber face, as shown in the animated data below. However, for HPF we need even higher levels of illumination scrambling. Data showing variations in input illumination mimicking a star moving across the fiber face (top) and output illumination (bottom) of the same single circular fiber. Firstly, the star will certainly not always be centered on the fiber face as the light enters – it will wander around as the layers of the atmosphere shift and as the telescope moves around. This is a critical aspect in any precision RV work, but is particularly important for the HET, which has a fixed zenith angle. This means that the starlight will also fall on different parts of the primary mirror throughout the night and the seasons, so the illumination varies in an additional way compared to other telescopes. Excellent scrambling will dampen all these variations and allow the spectrograph to always be presented a stable, homogeneous illumination. Octagonal fibers have already started to find a place in astronomical instrumentation to boost scrambling performance. The geometry of these fibers yields a much more efficient redistribution of propagating light relative to standard circular fibers. However, HPF needs even more scrambling than circular and octagonal fibers can achieve. The traditional way to add more scrambling into the system is to use a ‘double scrambler’ which essentially interchanges different angles of lights rays with different positions of light rays (a Fourier transform). This allows the light to be ‘scrambled’ twice using two separate fibers (leading to the name ‘double-scrambler’). However, these optical scramblers are generally lossy and impractical for a complex optical system that needs every bit of available light. Simulated illumination of HET mirror during a stellar ‘track’. As the star moves across the sky during the course of a night, different portions of the mirror are illuminated. If uncorrected, this will lead to sinister shifts in spectral features in the instrument focal plane. 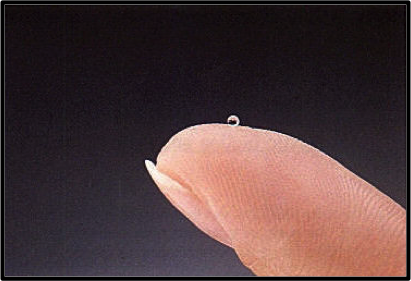 A 2mm ball lens. Never to be handled with bare hands. Our solution to this issue comes in the form of a tiny ball lens that is made of an exotic glass with a high refractive index. Specific glasses that have a refractive index ~ 2, in the wavelength range of interest, will focus incoming light onto the back surface of the ball itself. This allows the fibers to be coupled in direct contact with the glass, minimizing alignment problems and transmission losses. This compact and innovative new form of the traditional double scrambler is therefore much more efficient (>85% throughput) and versatile enough to be easily adapted for other fiber-fed instruments. Our ball lens optical double scrambler. 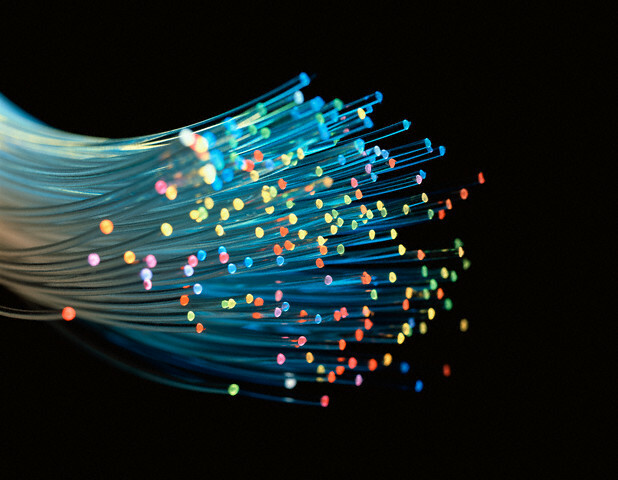 The two optical fibers on either side of the lens are just barely in contact with the ball surface. Fibers are held to the mounting block with glorified scotch tape. Data showing variations in input illumination (top) and output illumination (bottom) through our complete scrambling system. Look at that stability! One metric frequently used to gauge the level of homogeneity achieved is the “scrambling gain”, defined as the ratio of the shift of the star on the input face of the fiber versus the centroid shift in the output of the fiber. Typical circular fibers yield scrambling gains of around 10 – 100, while octagonal fibers can yields gains up to ~300. For HPF, we really need scrambling gains of at least 5,000 in order to not be dominated by this source of error. How well does our system perform? With a combination of octagonal and circular fibers, in addition to our small double-scrambler, we’re able to demonstrate scrambling gains of over 20,000! The true gain is likely higher, since we’re limited by our laboratory measurement precision. 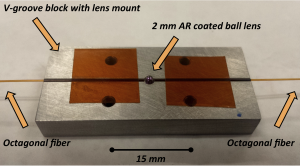 This new technology not only enables the primary science of HPF, but could be immediately applicable to other high-precision instruments as well. 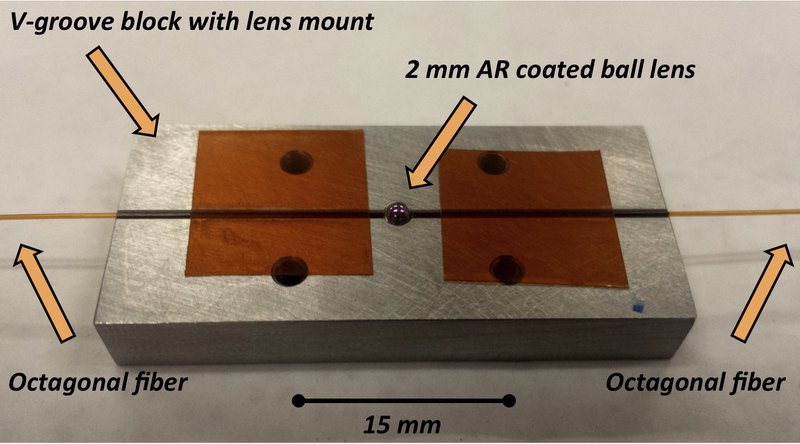 For more details feel free to check out our recently published paper.